The Good Catholic Life is taking a short Spring hiatus from live shows until early June. In the meantime, we’re bringing you some of our favorite shows from the past two years. Look for all-new shows to return after June 7. 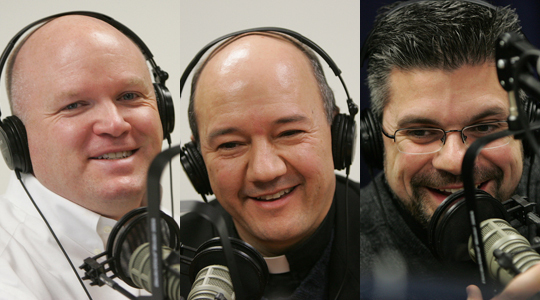 Today we bring you an encore presentation of our discussion with Fr. Paco Anzoategui, who joins joins Scot Landry and Fr. Matt Williams to talk about his journey from Mazatlan, Mexico, to the priesthood in the Archdiocese of Boston and how he credits the Blessed Mother for his vocation in a direct way. Fr. Paco also discusses Hispanic ministry in the Archdiocese and the US, including the trend of the growing Hispanic majority, plus why some Hispanics leave the Catholic Church for Evangelical churches, and how to make one parish family that includes both English- and Spanish-speaking communities.